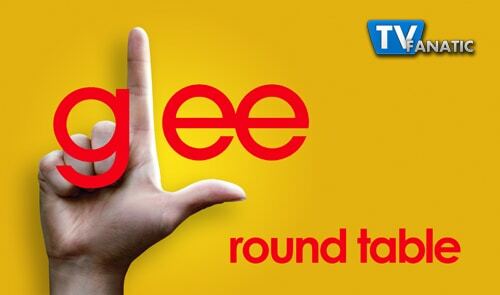 Drama abounded on "Special Education," this week's shocking episode of Glee. Matt R.: I think I'm still laughing from Brittany thinking adultery had to do with acting like "a dolt." Steve M.: Call me cheesy or call me sentimental, but also call me a major Finchel supporter. That's why I teared up when Finn said to Rachel: "I never thought you'd make me feel like this." Matt R.: From this episode and from this season, the answer is "Valerie." The vocals may not have been top-notch, but the energy was amazing. Go back an re-watch some of the moves between Mike and Brittany. Simply incredible. Steve M.: I second that, Matt. I wasn't familiar with this song, but I've since downloaded it and will dedicate my life to trying to be 1/100th of the dancer that Mike is. Eric H.: You guys can have your Asian Mike. I'll take my Caucasian Blaine and his version of "Hey, Soul Sister." Bigger surprise: Emma's marriage or Finchel's split? Matt R.: It's a cop-out (like tying at Sectionals! ), but I have to say both. There was nothing in the past few episodes leading up to either of these developments, as both felt contrived and far too sudden to have actual, emotional impact. Steve M.: Emma's wedding to Carl. When was the last time he was even on the show?!? The Rocky Horror tribute? It would have been nice to get some sense of this relationship before the two took such a step. Eric H.: Option C, the utter lack of Sue Sylvester. The show does want us to laugh, doesn't it?!? Will Kurt return to New Directions? Matt R.: Ever? I'm sure he will. But I hope they drag this storyline out, as it's actually been built up well and gives us a countless number of (pun intended!) new directions to go in with Kurt a part of the Warblers. Steve M.: Of course. 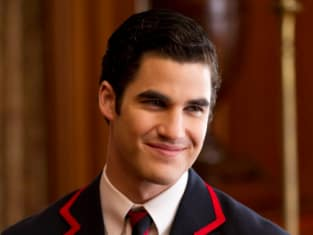 I actually think Blaine may turn out to be not such a great guy after all. He arranged a solo try-out for Kurt, only to then tell him that one must subjugate oneself to the group. Huh? Perhaps Blaine just wants the spotlight on himself at all times. Eric H.: No. I say he and Rachel break off and form a splinter group. Its name? Hum 'n Berry!